Sheana is as sweet as they come, and in the market for her new forever home. Read all about how to adopt her today! Sweet Sheana has been waiting for her forever home for a long time. 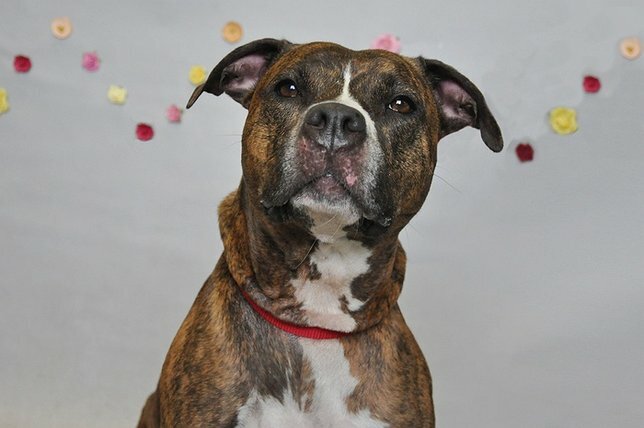 Sweet Sheana has been waiting for her forever home since April 2014, making her the Town of Hempstead Animal Shelter's second longest resident. Sheana is a love with people she knows, and will crawl into your lap and kiss you non-stop. At about 5 years old, Sheana can be wary of new people though, so she will need a savvy owner who can help her overcome her fears. Sheana is house trained, crate trained, and likes other dogs. Please help staff and volunteers help Sheana find her forever home as fast as possible. If you would like to learn more, please call the shelter to speak to a staff member today: 516-785-5220 or even better, head on down and fill out an application: 3320 Beltagh Avenue, Wantagh NY 11793. As always, thanks for reading, and please remember to always adopt, never shop...pass it on! Subject: LongIsland.com - Your Name sent you Article details of "Sheana is This Week's Super Adorable Adoptable"